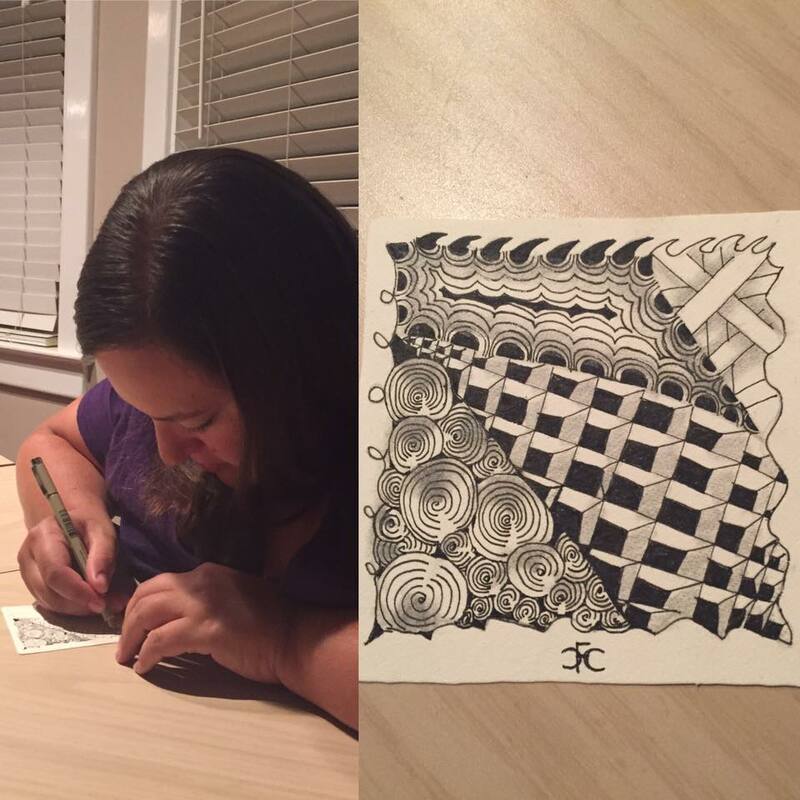 I am a Certified Zentangle Teacher (CZT) and utilize mindful breathing and yoga movements to create a truly unique meditative experience. Absolutely NO drawing experience or "talent" is needed to create beautiful works of zen art. These classes are for clients wishing to reduce their stress levels and increase their coping mechanisms. I teach Mindful Meditation through Zentangle to adults and children at the Community Arts Center In Wallingford, PA, for corporate retreats, private parties, and one on one. The beautiful and high quality Zentangle® supplies (Zentangle® paper tiles, Sakura Micron pens, Zentangle graphite or charcoal pencils, etc.) are included in my private classes. Call (612)299-5414 to schedule your parties, private class, or to inquire about classes for your group or corporate event. Contact me for an appointment today. Follow me on Instagram & Facebook and Sign Up NOW!